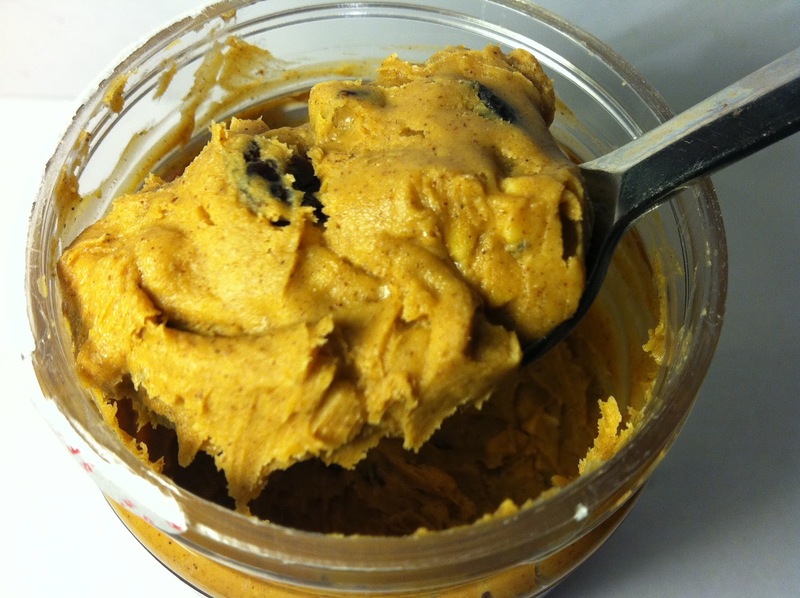 For regular readers of the blog, I think I've conveyed my thoughts on peanut butter many times before. For newer visitors that have not visited the site before, I'll spell it out for you: I LOVE peanut butter. I can't control myself around it and have in fact placed it on my personal "do not buy" list. That said, I found my way to a Planters Facebook promotion where they were giving out samples of their new NUT-rition Peanut Butter products and being the whore for free products that I am, I of course grabbed up a free product voucher. 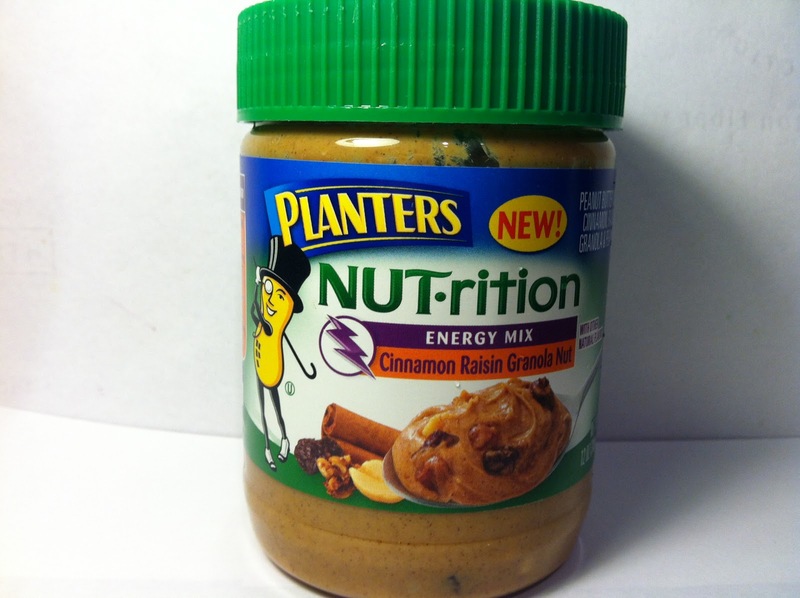 Planters sent me my voucher a couple weeks later and I trudged to my local Meijer to pick up my free jar of this Planters NUT-rition Cinnamon Raisin Granola Peanut Butter, which they've deemed as part of their Energy Mix portion of NUT-rition products. I've reviewed several Planters bars before, but this was my first foray into their other products. It's twelve ounces and each jar contains about ten servings of this "healthy" peanut butter and each two tablespoon serving is 180 calories. Based on the name of the product, it's probably not difficult to figure out what else is included in this jar other than they typical peanut butter. Yep, that's right...it's cinnamon, granola and peanut bits. Each of them is clearly visible when you look at the peanut butter and outside of that, it's a typical peanut butter and that's about it. When I took my first spoonful of this, I definitely tasted the cinnamon that was mixed into the peanut butter, but it wasn't a nice taste when mixed. In fact, the cinnamon in here was a bit too strong for the peanut butter it was carrying that made it somewhat unappealing to me. As for the raisins, they added a nice chewy sweetness to the peanut butter and the granola and additional peanut bits brought a flavorless crunch, but they didn't do a whole lot for the taste. The peanut butter itself was not sweet at all, but it was soft and creamy, along with being somewhat hearty flavor, so it had that going for it. When I was able to take a spoonful that incorporated all the ingredients together, I could definitely taste them all, but they just didn't work well together, despite the fact that it seems like they all would work in perfect harmony based on name alone. The cinnamon just ruined this whole mix, but even if it was a milder cinnamon flavor, I don't think that these would all work together. Buy It or Fly By It? This was a nice idea by Planters, but it just didn't work, so it gets a FLY BY IT rating, which is something that I would have never dreamed giving this prior to opening it and tasting it. Sometimes though, things that are great ideas just don't end up delivering in the end and that was the case with this jar. I'm glad it was free, because had I paid the roughly $3.69 that this jar typically runs for in the store, I would have been a very upset person. Instead, I'm just disappointed.